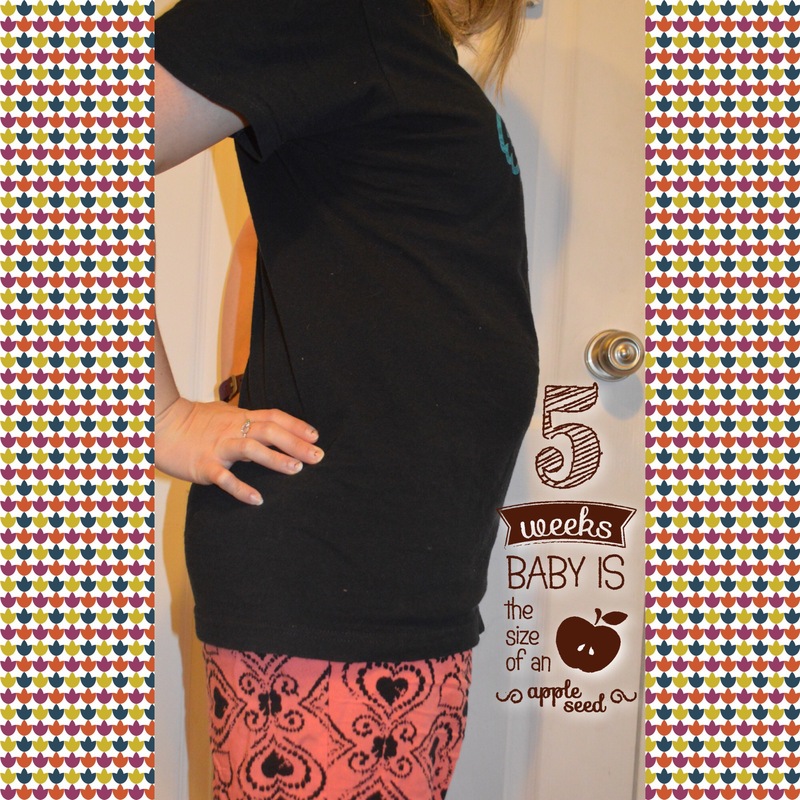 Today marks pregnancy week 5! Baby is now the size of a sesame seed. So far so good this week. I have been testing almost every other day and yesterday the test line was way darker. So dark that it had to pull tons of color from the control line which is now getting less and less visible! This past week I have been feeling pretty good for the most part. I have waves of nausea that come and go. Some days I’m never sick at all. I think it happens when I take my vitamins mostly. So I went shopping on amazon to try and find something else. I came across some bio-available gummy vitamins (I think its called smarty pants brand?) and I’m hoping that they help. I also got a chewable methylfolate from amazon too, but I don’t recall the name right now. I am starting to take all but my vitamin D at night to try and help prevent nausea if it ever gets worse than it has been. I am still having occasional growing pains and if the waist on my pants is too fitted, they are uncomfortable. I don’t really have a belly, its just uncomfy to wear tighter pants right now. Its probably because I’m still soooo bloated. I have been wearing looser fitting tops to work because I feel like I already look pregnant. Anyway, that is pretty much all for this week’s update! Until week 6! This entry was posted in Family in the making and tagged baby, bumpdate, pcos and pregnancy, pregnancy, Pregnancy after loss, pregnant, prego, update, week5, weekly. Bookmark the permalink.